I recently celebrated my 1 year loc anniversary. It has definitely been an experience for me to say the least, but I LOVE my hair, and I don’t think I am turning back anytime soon! 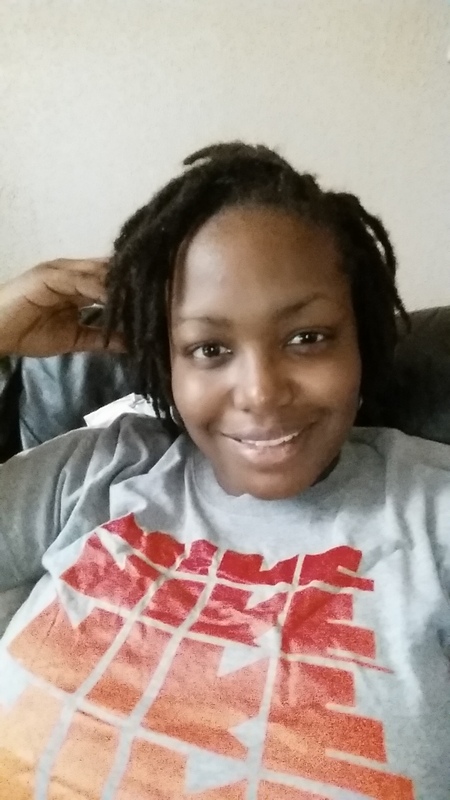 I have wanted locs for a long time; about as long as I was natural, which was since 2010. There were several reasons why I didn’t take the step to getting them, and mostly due to talks I had with my mom, giving me some interesting reasons to consider waiting. Finally, she told me “Whit, I don’t know why you look to others for approval on what you want to do. Like with your hair, if you want to loc your hair, then do it.” Then came one of her famous phrases, “it’s just hair!” She was right. It is just hair. So that night, I went home and I 2-strand twisted my hair, and waited patiently for them to flourish. I was so happy and proud of myself. I had finally taken the steps to do something that I had always wanted to do, and I had the support of my mom and husband behind me. If anything, if I looked crazy, they would tell me lol. I went through the fuzzy hair stage (or ugly stage) and it wasn’t too bad. I actually loved my hair at that time. I found out the ease and versatility that came with locs. I could wake up, shake my head, run my fingers through them and be on my way. I made sure they were moisturized and oiled regularly also. In the beginning stages, I had little problem with always trying to twist and play with them, but I soon learned to just let them be and they will grow. About 4-6 months in, I started to see some budding and locking going on. I was excited! They were actually starting to look more like locs and less like old 2-strand twists, LOL. My mom even said that they were looking great on me! It boosted my confidence a little to have a compliment here and there about my hair. My husband also noticed how happy I was with them. He would always ask me questions about my hair and if it was doing what it should be doing. I could tell that him trying to learn more about my hair, was his way of showing his full support. So now, we are at about 13 months loc’d. I’ve got a little hang time and I think now I am going to start experimenting more with a few DIY styles. Anyone in my family could tell you that I spend little to no time in a hair salon (even though if I really wanted something nice done to my hair, I have someone to go to). I am a YouTube junkie, so if I see something I like, I will search YouTube first to see if I can do it. If I can, then I have saved both time and money sitting in a salon ;). I cannot wait to see what the future holds for this crown of mine. I’m excited to try some new things and learn more and more about myself through the experience of watching my hair mature and grow. Previous Post #WhitWritesHerNovel: Rewrite Time!